I don’t think it’s 1 of the best books I’ve ever read. Sophie is in charge of the sapphire jewel. 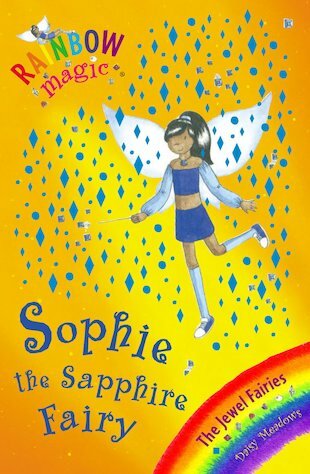 Sophie’s sapphire is the next jewel to find. Sophie can’t grant wishes without it. So Kirsty and Racel must find it, but when the mean goblins knock it out of Kirsty’s hands and into the water, will they be able to find it? Read to find out what happens to the jewel.